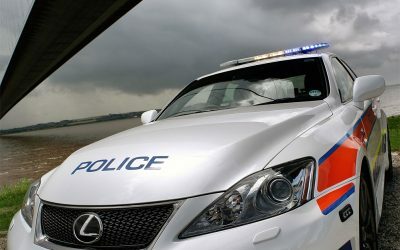 This continues the trend of UK police departments using Lexus vehicles in their fleets—even James May got into the act on an episode of Top Gear. 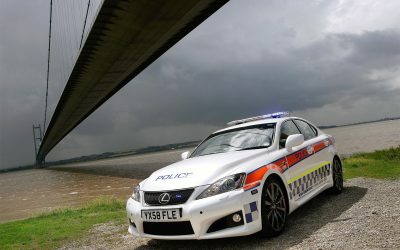 Humberside Police have taken delivery of a Lexus IS-F in order to make life more difficult than ever for those looking to travel to the region to commit crime. 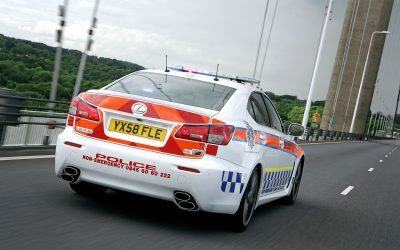 Specially trained officers spent 12 months evaluating a number of high performance vehicles that are set to replace the current Subarus which have proved highly successful in enabling the Roads Crime Section to target organized criminals in the area. 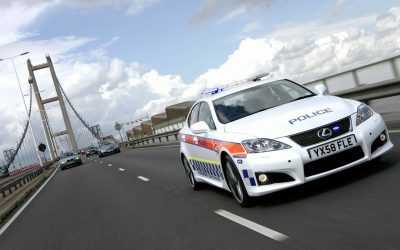 Following a stringent evaluation process the decision was taken to purchase the Lexus IS-F after the vehicle proved to be exceptionally capable of remaining stable in high speed operational policing environments, despite carrying the extra weight provided by the £30,000 worth of on-board computers and communications equipment. 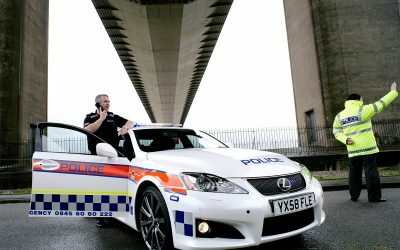 The Lexus IS-F has a performance tuned 5.0-litre V8 engine capable of reaching 62mph in 4.8 seconds and a top speed electronically limited to 168 mph and was supplied by Steve Kelly, Centre Principal at Lexus Hull who has been working closely with the Humberside police regarding the sale.